WOW!You're home on the range awaits! This rare gem is the one you've been looking for! The VIEWS will make you want this home, and the FEATURES will make you LOVE it. 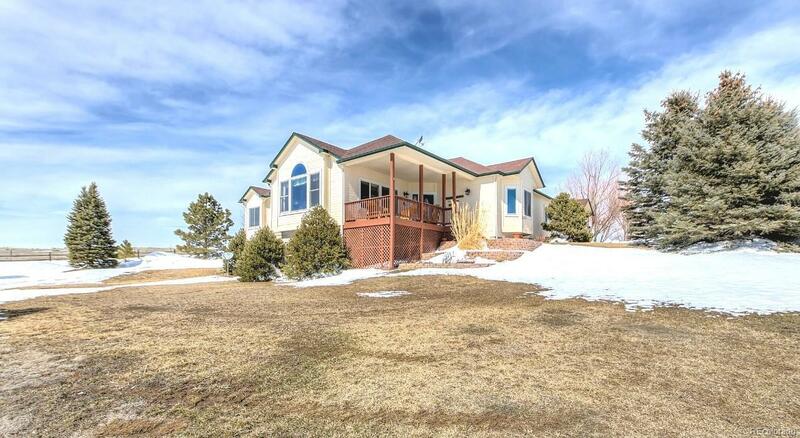 Terrific RANCH style home on 35 ACRES is the perfect little hobby farm or horse property. Inside this gorgeous home you'll find many updates like new windows, fresh interior paint & open, flowing spaces with everything you could need on one level. The large master suite sits conveniently apart from the two guest bedrooms. Large kitchen has newer appliances and a good sized breakfast nook to complement the formal dining area. Walk-out basement is 3/4 finished w/ huge storage space and a 4th bedroom nonconforming. Large attached garage has workshop space. 30x36 Cleary Barn with stalls & tack room plus large lean-to and paddock area. Large outdoor riding area with good dirt, ready to ride. Fenced & cross fenced. Mature landscaping and large back yard. Adjudicated water! Private gate entry & well maintained driveway.